The Cooler Company offers full guarantees on all work and installations. Our job isn’t complete until you are satisfied. Technology has come a long way. 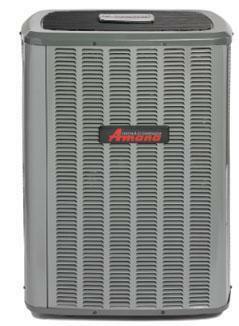 Today it is possible to get an Air Conditioning unit that can cool your home using less energy than a toaster! The Cooler Company in Denver has experience in every type of residential and commercial air conditioning units. From single or two stage units, communicating and non-communicating, we can help you to choose which one fits your needs and your budget. At The Cooler Company, we know that no matter what model or brand you choose, the most important part is to ensure that your unit is sized properly, charged with refrigerant, and installed correctly with certified technicians. Even the most expensive equipment on the market can give you a headache if it is not installed right. Finally, an HVAC Contractor you Can Count On! Whether you need a new Air Conditioner, or just a Service Technician to troubleshoot and repair your unit, please consider allowing the Cooler Company to service you. Our team centrally located in Denver can get to any location throughout the metro area quickly. You can count on us to take care of any Cooling issue you may be having. Our job isn’t complete until you are satisfied.